The Manitoba Brain Injury Association has announced details on its 11th annual Heads Up Dinner and Auction on Thursday June 5 at Riddell Hall at the University of Winnipeg. Proceeds from the event will support the Manitoba Brain Injury Association and The Heads Up Concussion Research Institute at University of Winnipeg. The Heads Up Dinner auction is known for the exciting LIVE auction of signed, professional, game-worn helmets, and other sports memorabilia. The helmets are the `heads up' in promoting the prevention and care of brain injuries. In addition to the live auction, there are great silent auction and rainbow auction prizes, ranging from bicycles to barbeques, fine art, hand-made quilts, and tickets to upcoming MTS Centre shows like Michael Buble and Cher! There really is something for everyone. With the NHL playoffs around the corner, stay tuned for more announcements about signed NHL helmets up for bid and much more! Of course the evening features a gourmet dinner prepared by our own award-winning Chef Ben Kramer and Diversity Foods; and Mike Beauregard returns as our emcee. IMPORTANT: to save paper and mailing costs, please note that the Heads UP Dinner & Auction has switched to an ELECTRONIC TICKET format. When you buy your ticket on-line or on the phone, the tax deductible receipt will be mailed to you. Win 2 tickets to anywhere WestJet flies! Raffle Tickets are 3 for $10 available at the Heads Up Dinner & Auction, or through members of the Planning Committee. Lucky Winner drawn at the Heads Up Dinner, June 5th! All proceeds support the Manitoba Brain Injury Association and the Heads Up Concussion Institute. 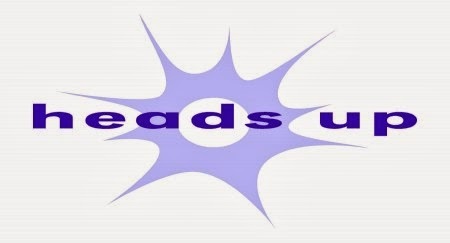 Follow us on Twitter or @headsupdinner.